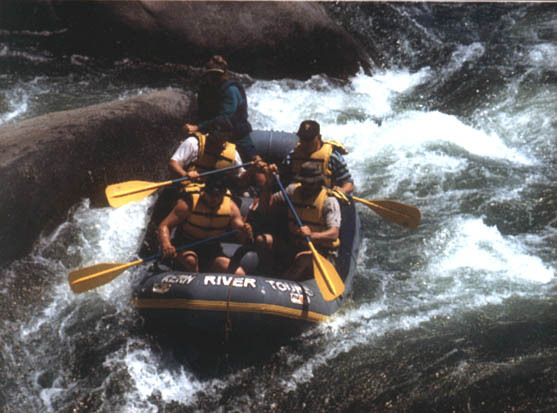 In 1974, Kern River Tours became the first commercial rafting company on the Kern River, and our expertise shows in our total operation. Our goal is to provide you with the highest quality, most memorable experience possible. Come let Harigian Fitness show you the time of your life on the Kern! We have all types of trips to choose from. They range from mild trips to wild adventures for those with experience. This one day on the Lower Kern is a mellow, easy going trip, through a variety of terrain ranging from granite boulder slabs to sections thick with trees over hanging the river. This is the perfect choice for those seeking a lot of fun with a reduced “fear” factor. 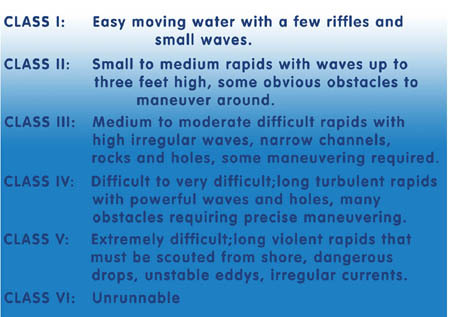 For those looking for a more exciting time, try inflatable kayaks (water permitting). Request these when making reservations. This trip includes one of our great lunches partway through the day. 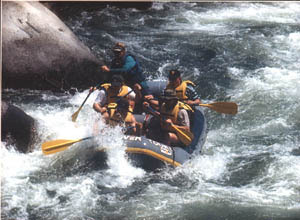 This action-packed and most exciting day of the Lower Kern is another favorite. 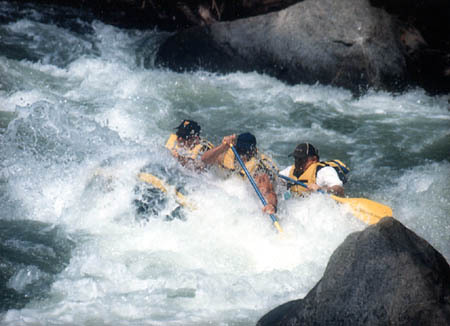 This exhilarating whitewater adventure winds down narrow, rocky canyons, twists around giant boulders and charges through tight gorges. This trip includes a hearty lunch. 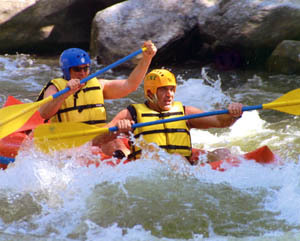 Want a full day of rafting and a hearty deli style lunch? Come on the one-day upper. 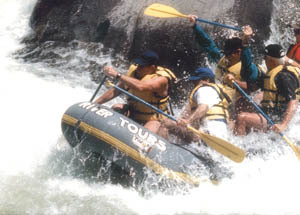 This trip covers the best rapids available. Have experience and want more than Class IV? The Thunder Run is one of the best Class V trips in the state. Lunch is included.